Xo takes a role on Rogelio's telenovela on Jane the Virgin. "Chapter Forty-One" is the 19th episode of the show's second season. 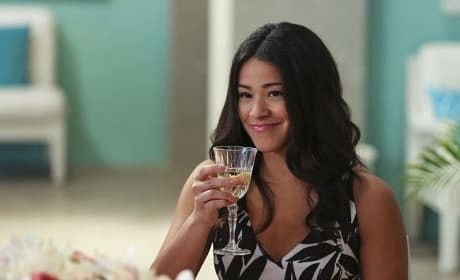 Thanks to Xo and Lina, Jane's Bachelorette party doesn't go as she had expected on Jane the Virgin. "Chapter Thirty-Nine" is the 17th episode of the show's second season. 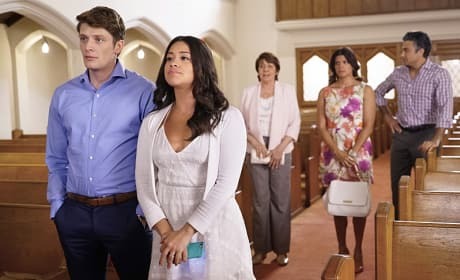 A flood disrupts Jane's wedding plans on Jane the Virgin. "Chapter Thirty-Eight" is the 16th episode of the show's second season. 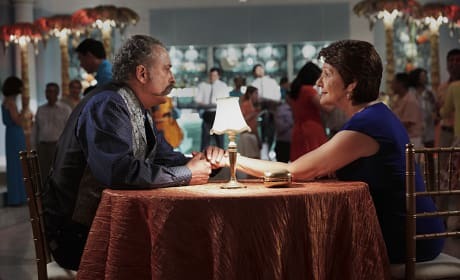 Petra worries about Rafael's behavior on Jane the Virgin. "Chapter Thirty-Six" is the 14th episode of the show's second season. Mateo gets a swimming lesson on Jane the Virgin. "Chapter Thirty-Five" is the 13th episode of the show's second season. 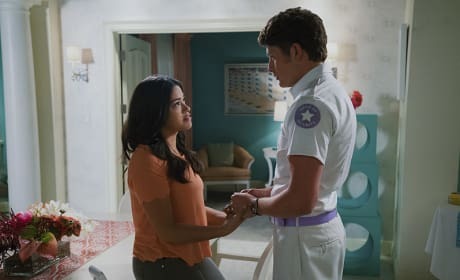 Jane contemplates taking things to the next level with Jonathon on Jane the Virgin. "Chapter Thirty-Four" is the 12th episode of the show's second season.